Horse gram is a kind of bean commonly used in South Indian States. Its has lot of medicinal properties such to treat cold, cough, sore throat and to treat kidney stones. 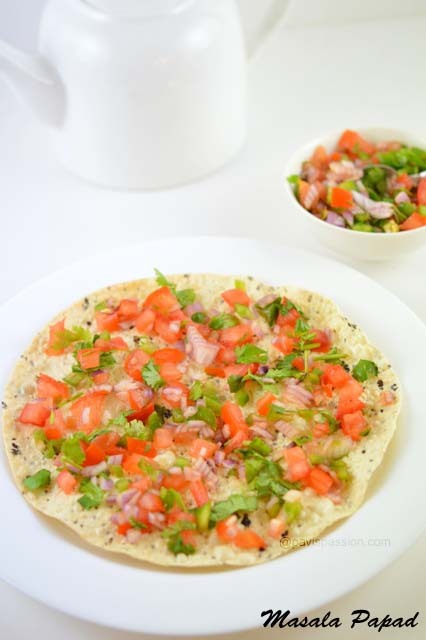 Horse gram is an excellent food for those who are looking to loose weight. 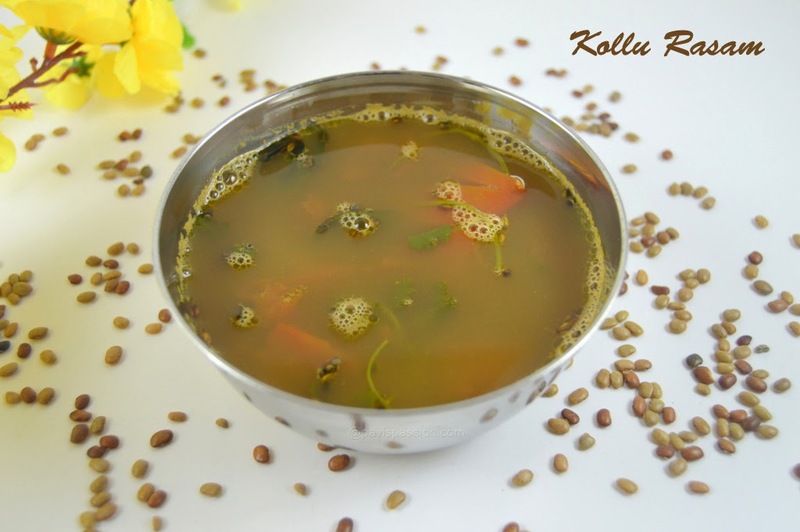 Horse gram soup/ Kollu rasam is a recipe we often do at home to treat cold and cough. And also it have high nutrition so we have to take often in our diet. 1. Soak Tamarind in 1/2 cup of water. Heat a cooker dry roast the Horse gram\kollu until brown then add 2 cups of water and close the lid and pressure cook it for 10 whistles. 2. Take a pestle or mixer grinder, crush the pepper, cumin seeds, and crush garlic and make a coarse powder. 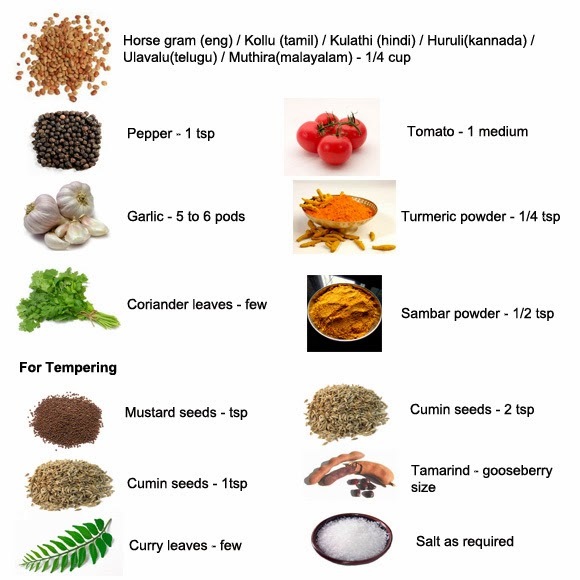 Extract the juice from tamarind, add the coarse powder, chopped tomato, turmeric powder, sambar powder, coriander leaves and required salt into it and mix thoroughly. 4. Boil the rasam mix until it bubbles out well. Heat 1 tbsp of ghee add the mustard, cumin seeds and curry leaves when it sputters add this to the rasam. 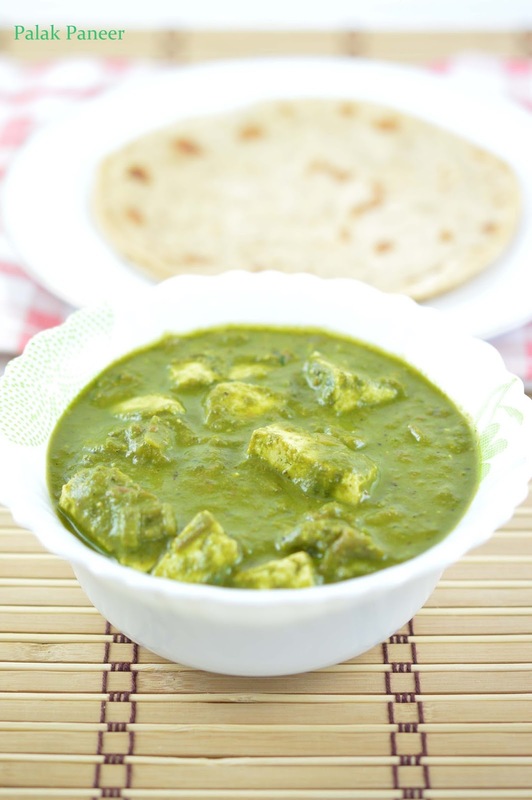 Serve hot with rice and any stir fry/poriyal. 1. You dont want to add the whole horse gram you can omit adding, just add the cooked water is enough. I like to add the whole one because it contains fiber. If you want the fiber also you can make it as sundal. 2. If you soak the horse gram overnight you can skip the roasting process. You can add water to the pressure cooker directly and cook for only 4 whistle.